Hip Hop: Comfortable attire, Sneakers (only worn for class), NO Jeans! Dance Class for Children with Special Needs: Comfortable attire, Sneakers (only worn for class), NO Jeans! NOTE: Level 3, 4 & 5: MUST wear light pink tights and canvas split soled Sansha ballet Pro 1 shoes. Ballet skirts and ballet sweaters are permitted for ballet class as long as they do not interfere with learning. Sweatshirts are NOT allowed. Jazz shorts/pants are permitted for tap and jazz classes. For your convenience, Dance Attire is sold throughout the year at the studio. A non-refundable $30 per family is due upon registration with the first installment to reserve class space. This registration fee will help defer the cost of any studio information supplied to students throughout the year including brochures, mailing letters, etc. Tuition is a yearly fee broken into 10 equal payments. *Payment can be accepted by check, cash or credit card anytime up to the due date. Any balance remaining will be charged automatically. If a credit card on file does not work it will be tried again every 7 days. Accounts with non-working credit cards that are not updated by the 8th of each month will be charged a $20/month fee. C - Pay 10 installments using Automatic Credit Card Deduction* which will come out on the first of each month from Oct to May. Two payments are due upon registration, and are non-refundable. Good attendance is imperative, as best results are accomplished when a student attends class on a regular basis. Please make every effort to have your child at every class on time. Make-up classes are available for missed classes or classes missed due to weather. No tuition deduction or refunds are available for missed classes, nor is monthly tuition transferable. Please see schedule for a comparable class. The studio will not necessarily close for snow days regardless if area schools are closed. Closings will be sent out via e-mail within one hour of the scheduled class, posted on our Facebook account and a message will be left on the phone at the studio. You are entitled to a makeup if we close the studio due to weather. Parents' Observation Week in the studio will be in January. Video monitors will be on each week. A student dance recital will be performed every year. All students are encouraged to participate in the recital, but it is not mandatory. If the commitment is made, the student MUST perform in the two shows, attend two rehearsals, and follow all rules presented in the Recital Handbook. American Dance Academy does not carry medical insurance for its students. It is required that all students be covered by their own family insurance policies and, if an injury occurs, it is understood that the student's own policy is the only source of reimbursement. • Long hair must be tied back and secured for class. • For your child's safety, students should remain in the studio until their rides have arrived. • Dancers and parents are expected to conduct themselves in a respectful manner. Gossip about other students, parents or teachers is unacceptable and will not be tolerated. • ADA is not responsible for unsupervised children who are not in a class. If you have any questions or comments, please feel free to discuss it with us whenever it does not interfere with a class. 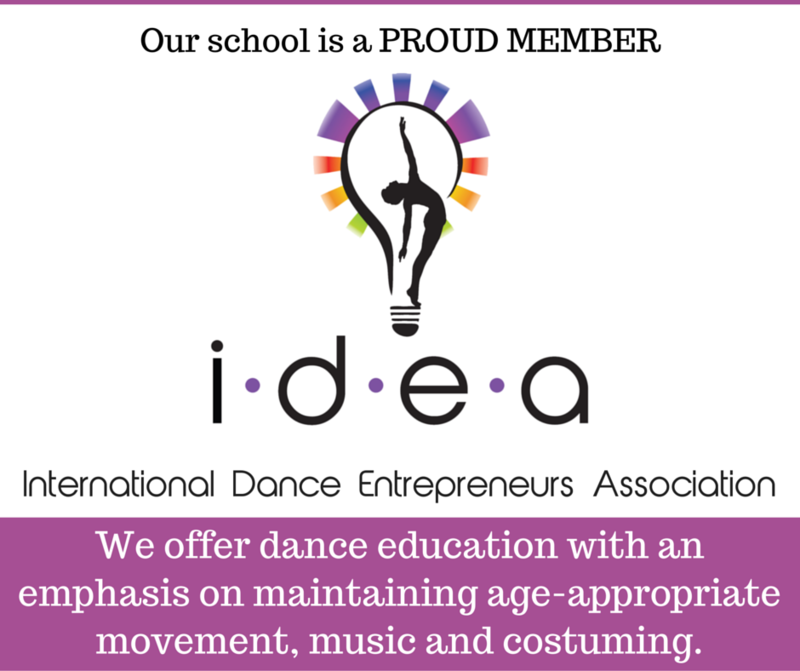 We are always interested in improving our dance education programs.